Miguel Jontel Pimentel (born 1986 in San Pedro, Los Angeles) is a Grammy award nominated American R&B singer-songwriter signed to Jive Records. After working on albums by Usher, Musiq Soulchild, Jaheim and Asher Roth Miguel released his debut mixtape Mischief: The Mixtape in the summer of 2006. His debut studio album, All I Want Is You, was released in November 2010 and features the top ten hit All I Want Is You featuring J. Cole. Throughout October 2010, Miguel toured with singers Mary J. Blige and Jazmine Sullivan, as well as supporting Usher and Trey Songz on the OMG Tour from November to December. He received a 2011 Grammy Award nomination for his work on Jaheim’s single Finding My Way Back. 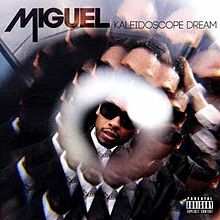 The Adorn Songfacts reports that “Adorn,” the first single from Miguel’s second album Kaleidoscope Dream, was released on July 27, 2012. It was originally included on his Art Dealer Chic: Vol 1 mixtape. “Adorn” is a song by American singer Miguel, written and recorded as the first single from his second studio album Kaleidoscope Dream (2012).